Hello, there! Looking for an amazing new book? 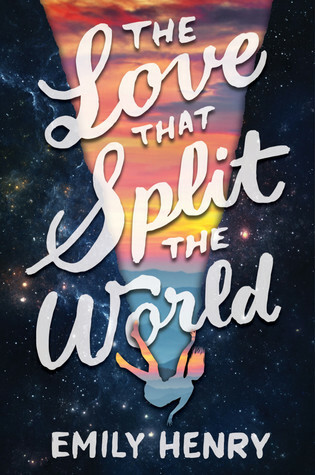 You should definitely check out The Love that Split the World by Emily Henry. This month we read this for The Book Junkies – the Goodreads book club I started with Beth (The Books Are Everywhere) and Emma (The Book Crunch). Boy, am I glad we read this one! It is my favorite read of 2016 (so far), and I will definitely be re-reading this one. Well, well, well. That was an excellent book. I could not wait to see what would happen in the end – but I also didn’t want it to end!!! The whole world Henry was able to construct was one that captured me right away. One of my favorite elements of the book was that it was about a Native American girl. There aren’t many books written from this perspective, and Natalie’s voice came through strong and beautifully. She is a girl I could relate to extremely well. The Native American stories were well written. I loved all of them. They were an interesting part of Natalie and Beau, and they tied the story together very well. The subject religion comes up a lot, and it’s written in a way that allows you to formulate your own thoughts. The questions posed are ones that leave you questioning your own thoughts and feelings about a higher power. It’s very insightful, and lets you contemplate it on your own. Henry’s writing was phenomenal. The voice and structure of the overall plot was gorgeous. I can’t wait to see what else she’s going to write! It’s funny, because she went to college near me, and I’ve studied on the same campus. It’s a bummer she lives in Kentucky now. The ending was fitting. I don’t think I would have been pleased with a different one. It is a bit of a cliff-hanger, but a sequel is not needed. It was hopeful and uplifting. I sighed after finishing it, and had to re-read it to make sure I read it correctly. People in my calculus class looked at me a bit funny (yes, I finished it right before a big chapter test – who needs math when you have a book? ), but who cares? It was an amazing ending. 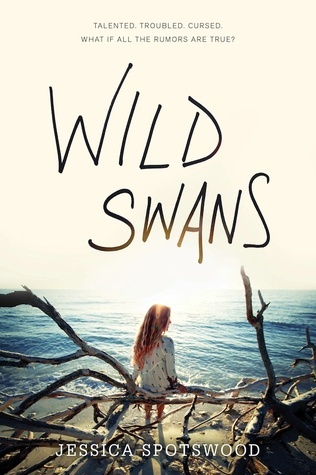 I gave this 5/5 stars on Goodreads, and I highly recommend you give this book a chance. You won’t regret it. This cover is so fitting to the book, I can’t help but love it! The girl is someone I would picture as Peyton for sure. I was hesitant to read this at first because I kind of could tell what was going to happen right at the beginning. It didn’t ruin the book, but I feared a cliche. It was not. What I thought would happen did happen, but not in the way I thought it would. The unconventional nature of this book makes it stand out from most of the other books I have read. I was worried it was going to be similar to Simon v. the Homo Sapiens Agenda, but it went in a totally different direction. I like how Reul was able to take such heavy subjects and talk about them in a way that I haven’t seen before. Hank, the main character, deals with a lot – an alcoholic dad among other things. Peyton, too, has her fair share of luggage, but I like how they dealt with what came to them. The weight of some of the topics in the book surprised me. I didn’t think it would go in this direction, but I’m glad it did. Reul was refreshing and lighthearted throughout. Hank’s comic book obsession is something I found to be really interesting. I never was into comics that you read out of a book – only the ones in the Sunday paper really. Until this month, I had never been in an actual comic book store. This little quirk of his made me like Hank even more. Comics are something of a dying art, but I think they’re coming back. I liked this aspect of the story the most. If you want a formal rating, I gave it 4/5 stars on Goodreads. Definitely worth the read! Hi! Coming on the close of my first week on this schedule, I’d have to say it went pretty smooth. I’m glad it came out the way it did and I think I’m going to stick to it. As promised on the schedule, I’m going to talk about life in general today. Things at school have going pretty well. My calculus class keeps giving me trouble, and it’s frustrating because I try harder than most of the kids in the class and the results I yield aren’t what I desire. People at my school are already talking about prom! Even though it’s in May, I suppose they just like to be prepared? I can’t lie, I’ve been thinking about it, too. I think I’m going to ask this one guy in my friend group. I’ll keep you posted. Right now, I’m currently reading Truthwitch by Susan Dennard. It came in my January Uppercase Box, and I really like it so far. At first I wasn’t sure if I would like it, but I like how it’s centered around two females, not love. If I get lucky I’ll finish it by March, but I’m not counting on it. Things have been pretty busy lately. That’s all I have for today! Happy reading! Hi! A while back, I was tagged by Beth from The Books Are Everywhere to do this wonderful blog tag. I wasn’t sure exactly how to incorporate this into our blog, but I finally know! Now I’m actually going to do it! This was started by Book Fangirling, and I’m happy to continue it. For those of you I’ve tagged, here are the rules! Add the blog award button into your post and put it on the side of your blog as a widget – you can get it from Book Fangirling, the creator of this award. As I said, this is my first every tag, so please keep that in mind and just tell me if I get anything wrong! I’d have to say young adult in general. I don’t like to put myself in just one category because I read across the board so much. I also really enjoy classic literature! 2. How many books did you read in 2015? 3. Do you judge a book by it’s cover? 4. Do you buy more hardback or paperback books? Hardcover – I’m bad at the whole patience thing when it comes to books. I just can’t help my excitement! 5. Name a popular book you didn’t like. Does The Catcher in the Rye count? I just didn’t like as much as other people see to, and I had to drag myself through reading it. I don’t know many book blogs on here, and so this is where I leave it to you, the reader. If you’re a book blogger and want to do this tag feel free to do it! I am looking for more blogs to follow. Please comment yours below so I can give it a look! Favorite book to movie/tv show? What is a book you’re proud to have read? Why? You’re stranded on a desert island. What 3 books do you bring with you? Favorite literary reference within a book? Name a book that made you throw it across the room. Book Chat: Where To Find TBR Books? It’s Beth here – firstly apologising for not posting on this new blog! I used to post on the Blogspot version of Mind of a Bookdragon, but I’ve been so busy that I just haven’t found the time to post on this one. But I’m re-joining! I’d love to try and post more on here, and I’ll be doing some of these Book Chat posts! Secondly, I’ll explain a little about myself for all new followers! I’m the owner of The Books Are Everywhere, @tbaeblog on twitter & @booksareverywhere on Instagram. I’m also here on Goodreads (feel free to friend me!) and I own the Vanilla Watercolour Etsy shop! Other than that, I’m a bookworm & a Hustler (by that, I mean an All Time Low (mega) fan) – get all other thoughts out of your minds, thank you very much. Anyway, on with the post! Where do you find books to add to your to-read list? I follow a lot of book accounts on Instagram…so obviously I always see pretty covers, titles, spines & new authors. When you constantly see a new release it’s hard to ignore – it normally ends up all over your feed and you finally end up searching it…and adding it to that ever-growing TBR. Twitter, Facebook, Tumblr. THE BOOKS ARE EVERYWHERE. And any book blogs, really. I take a look at my WordPress feed daily or whenever I blog…so if I see a good review for a book, it’s Goodreads all the way. It’s so hard to walk into a book store and not find a book you want to read. Honestly, I normally go into main stores and want to just buy them all. Another thing is second hand books…they’re so cheap – so if they’re in good condition, they’re mine. My main culprit is Goodreads. When I first became a YA reader I actually kept a list on my phone of books I wanted to read. Luckily, shortly after I became a Goodreads member and since then the list has been growing and growing. It doesn’t help (or it helps, in a way?) that I get recommendations from my friends and the website itself…yep, 600+ and counting. Hello, happy Monday! At least, I hope you’re having an okay Monday. They are quite variant. To kick off my first Bookish News Monday, I’ll be discussing the cover reveals for the fall books. I will be using the information put out by Epic Reads which is run by HarperCollins. I love this site, and use it frequently for my information. If you didn’t know, I am a sucker for beautiful covers. I impulse buy them way too much, more than I’d like to admit! For the full articles, just click the title and it will take you Epic Reads. Like a River Glorious by Rae Carson – This is the sequel to Walk the Earth a Stranger which was released last fall. Here’s the description given: After their harrowing journey west to California, Lee Westfall and her motley group of steadfast friends have finally found their new home—one rich with gold, thanks to Lee’s magical ability to sense gold in the world around her. Lee has found a place to belong. She may even be tempted to pursue her growing crush on her best friend Jefferson, who hasn’t stopped try ing to win her heart. But her uncle Hiram hasn’t given up his quest to get Lee and her power under his control. When she is kidnapped by Hiram’s lackeys and taken to his mine, Lee sees firsthand the horrors of mining camps and the depths of her uncle’s villainy. Yet Lee’s magic is growing and changing, and it may be the key to saving everyone and destroying her uncle once and for all.Packed with action, romance, and magic, Rae Carson’s thorough research and boundless imagination break open an era of American history and continue the journey of a distinctive young heroine.The first book won the Epic Reads cover lust award in their annual Book Shimmy Awards. I must say, they both are quite beautiful. I have not read Walk the Earth a Stranger but I plan to soon! Maybe it’ll be on my March TBR pile. Frost Like Night by Sarah Raasch – The third in the series that begins with Snow Like Ashes. This is highly anticipated and I can’t wait to read the series! Here is a little bit about the book:Angra is alive, his Decay is spreading—and no one is safe.Meira will do anything to save her world. With Angra trying to break through her mental defenses, she desperately needs to learn to control her own magic—so when the leader of a mysterious Order from Paisly offers to teach her, she jumps at the chance. But the true solution to stopping the Decay lies in a labyrinth deep beneath the Season Kingdoms. To defeat Angra, Meira will have to enter the labyrinth, destroy the very magic she’s learning to control—and make the biggest sacrifice of all.Mather will do anything to save his queen. He needs to rally the Children of the Thaw, find Meira—and finally tell her how he really feels. But with a plan of attack that leaves no kingdom unscathed and a major betrayal within their ranks, winning the war—and protecting Meira—slips farther and farther out of reach.Ceridwen will do anything to save her people. Angra had her brother killed, stole her kingdom, and made her a prisoner. But when she’s freed by an unexpected ally who reveals a shocking truth behind Summer’s slave trade, Ceridwen must take action to save her true love and her kingdom, even if it costs her what little she has left. Aerie by Maria Dahvana Headley – Another sequel! 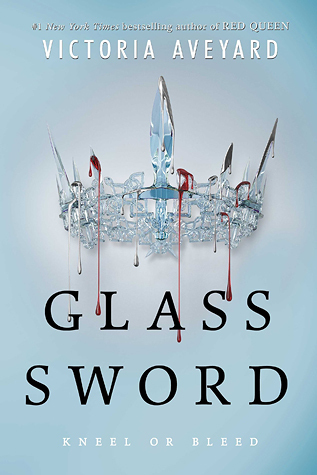 So many sequels are coming out this year – like the lovely, lovely Glass Sword. Everyone and their mother is dying to get their hands on these. This is the sequel to Magonia…which I, admittedly, have not read yet. I know, it’s bad, but I got it for my birthday and my TBR pile consists of an entire bookshelf right now. Anyway, here’s what is given about the book:Where is home when you were born in the stars? Aza Ray is back on earth. Her boyfriend Jason is overjoyed. Her family is healed. She’s living a normal life, or as normal as it can be if you’ve spent the past year dying, waking up on a sky ship, and discovering that your song can change the world.As in, not normal. Part of Aza still yearns for the clouds, no matter how much she loves the people on the ground.When Jason’s paranoia over Aza’s safety causes him to make a terrible mistake, Aza finds herself a fugitive in Magonia, tasked with opposing her radical, bloodthirsty, recently-escaped mother, Zal Quel, and her singing partner Dai. She must travel to the edge of the world in search of a legendary weapon, The Flock, in a journey through fire and identity that will transform her forever. In this stunning sequel to the critically acclaimed Magonia, one girl must make an impossible choice between two families, two homes—and two versions of herself. A Million Worlds with You by Claudia Gray – Third in the series, A Thousand Skies Above You was released last fall. I got the first for my birthday, and it’s added to my ever-growing list of books I must read. Here’s what the book is about: A million universes. A million dangers. One destiny.The fate of the multiverse rests in Marguerite Caine’s hands. Marguerite has been at the center of a cross-dimensional feud since she first traveled to another universe using her parents’ invention, the Firebird. Only now has she learned the true plans of the evil Triad Corporation—and that those plans could spell doom for dozens or hundreds of universes, each facing total annihilation.Paul Markov has always been at Marguerite’s side, but Triad’s last attack has left him a changed man—angry and shadowed by tragedy. He struggles to overcome the damage done to him, but despite Marguerite’s efforts to help, Paul may never be the same again. Alright, that’s all I have for now. There are so many that are coming out! I can’t wait for Jennifer Niven‘s new book, and David Arnold. Agh!! Not to mention Crooked Kingdom which is a follow up of Six of Crows. So many books, so little time (and money, my wallet cries every time). What are some fall releases you’re excited for? This was so sweet! I was a bit skeptical of this one of all three I received. It seemed a little cliche in the description, but I’m glad it wasn’t. Throughout the novel Ivy struggles with the weight of expectations not only from her family, but herself, too. I connected well with her on this point. I am a bit of an overachiever, and I set high standards for myself. Nothing disappoints me more than when I fail to rise to the occasion, and I felt like I understood her well. The writing style was unique. I can’t exactly point to what makes it stand out, but I felt like it was raw and real. It made Ivy and her family something real, even if her situation isn’t the most common. The premise of the book was interesting. I liked how Ivy’s family was mesmerizing – the Milbourn women entranced me too! It would be wild to be related to someone like her great-grandmother who had won a Pulitzer Prize or her grandmother whose paintings were sold for thousands. I don’t know what I’d do with myself if there was so much weight and legacy behind my name. It’s understandable why Ivy feels the need to live up to the expectations of her grandfather and the town she lives in. Ivy’s mom is a bit nutty. I liked how much of an enigma she was though. Spotswood did well writing her character because although Ivy’s mom was out there I felt I could understand her, too. She was human, and through Ivy I could see her develop in a way only a daughter could see. I felt for Ivy when her mom mistreated her. I like that Ivy found a backbone and eventually stood up to her. It’s always refreshing to me when female characters find themselves and stand up for who they are. The relationship between Ivy and her sisters was nice to see develop. I imagine it’s hard to get along with a stranger you’re told is related to you. I have three sisters and I love them all. We drive each other bonkers sometimes, but we get along pretty well. It’s hard for girls to get along in general, and this must have been especially difficult. 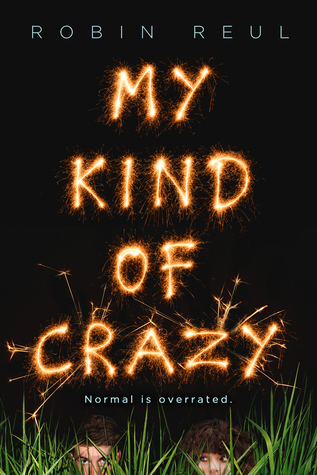 Overall, I gave this a 4/5 stars on Goodreads. It was enjoyable and the ending was very bittersweet. Definitely one perfect for reading on the beach! I hope this review has helped. Let me know your thoughts in the comments. Monday: Bookish News; I’ll do my best to keep you up to date on any and all bookish goings-on. Anything from cover reveals to title/book announcements will be made on these days. Sunday: Reviews; At least one review will be posted on this day. It may be an already published book, or an ARC. I am glad I’m able to share these upcoming releases with you, especially with help from SourceBooks and my wonderful job at my local bookstore. Any book it may be, it will be of the YA genre. As you can see I have given myself Tuesdays and Thursdays off. I’m still going to school currently and it’s hard to be always posting. This way I’ll be able to prepare for Wednesdays and Fridays properly and give myself some breathing time to collect my thoughts. Thank you for understanding! Mare Barrow lives in a world separated by blood. Hers is Red, the color of those less fortunate, yet she has the powers of a Silver – she can control electrical currents. The Silver crown is trying to yield her power for themselves until she slips away from their grasp. Before her escape Mare learns that she is not alone. Others like her are out there and they’re in danger from the Maven, the prince – her friend – who betrayed her. It’s now up to Mare to find them before he gets there first. Now on the run from Maven, Mare sets out to find these hybrid blooded kin and train them in their abilities. They must learn to wield their different powers to help free themselves and other Reds from their oppression. The mission proves to be something Mare wasn’t quite expecting, and she runs the risk of becoming the monster she’s trying desperately to fight. Wow, just wow. It’s hard to formulate full sentences after such a whirlwind of a book, especially one I’ve been waiting on for so long! It was everything I hoped it would be and more as my mother would say. This picks up right after Red Queen ends so there isn’t much of a time difference between the two books. Right away it was fast-paced and captured me right from my world. I couldn’t put it down after I started, and I loved every minute of reading it. I just…yeah. Wow. I’m still feeling my feels right now, and it’s quite hard to get over these particular ones. Especially since not a lot of people have read it yet, so there’s no one to talk about it with me! Onward with the review, though!! At the end of Red Queen we discover that Mare’s brother Shade is alive. In this one we get to know him a bit more, and I loved him. He’s an awesome character, and his ability to teleport is wicked – can I exchange him for my brother? No? Oh, okay then. Shade is a major person that keeps Mare sane, and I like that she is so close to him. It makes her more… human I guess you could say. What happens toward the end broke my heart. It wasn’t even the end and I was pretty much down for the count at that point. You also get to know Kilorn and Cal more. I love Kilorn. I’d marry Kilorn – he’s now moved to number two on my list of book boyfriends – after Simon Lewis a la The Mortal Instruments series by the wonderful Cassandra Clare. (Simon Lewis and I are getting married, don’t try telling me otherwise.) Anywho, Kilorn is killing it in this book (ha ha, get the pun? Oh wow that was distasteful. He would enjoy it.) I really like his character and how he gets Mare. He is someone else who grounds her and reminds her of the person she truly is versus the person she’s becoming. Now Cal, ah what a lovely guy. He’s also on my list of book boyfriends. I mean, who wouldn’t want a caring, upright guy who happens to be prince, am I right?! I loved getting to know Cal more in this story. Enter guy number three who helps anchor Mare. He seems to really understand where Mare is coming from, especially with Maven’s betrayal. Maven did indeed steal the crown from him and turn him into a killer. I suppose you could say they have some bad blood between them. Mare’s revolution is hardest on Cal. He is truly a Silver and it feels as though he is turning his back on his people. Throughout the book, b0th Mare and Cal struggle with who is on who’s side. It’s very grey and undefined. There are Silvers who are good people, there are Silvers who are bad. The Reds are just as treacherous, and it’s hard navigating right and wrong in times of war. Sometimes you just have to do what needs to be done hoping the end justifies the means. Toward the end Mare got on my nerves a little. If there was an award for self-pity or self-deprecation she would win it. I felt like she didn’t give herself enough credit, and she really underestimated others. The lack of trust that Mare has is startling, even for people she’s know for most of her life (*cough cough* Kilorn). It was sad to see her push everyone away. It was the apex of her losing her mind, at least being on the brink of it. Don’t worry, I still love her. She’s snarky and very cunning. I like how strong she is, and I hope she learns she can lean on other people for support. It’s sad how alone she feels, and I empathized with her a lot. It isn’t something she should feel like she needs to go through alone. Oh well, c’est la vie, non? I hope my review has been helpful. I know it’s quite lengthy, and thank you for sticking it out until the end (if you made it thus far). As always, happy reading!